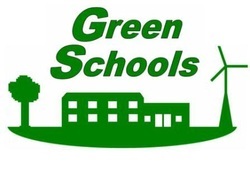 Green Schools is an international environmental education programme that promotes and acknowledges whole school action for the environment. It helps pupils to recognise the importance of environmental issues. To date, our school has been awarded three flags in the areas of Litter and Waste Management, Energy and Water. We continue to work hard to manage our litter and waste responsibly, reduce our energy consumption and conserve and manage our water resources efficiently. On the 20th of May 4 members of the green schools committee ( Alannah Moore, Darragh O’ Callaghan, Rhyan O’ Rourke Slattery & Cillian O’ Riordain) went to Galway to accept the schools 3rd Green Flag for conserving water. First we went to the restaurant in the Radison Blu hotel and had a meal. After signing in, we went in to the Inis Mór Ball Room where the ceremony was being held. We received our flag awarded for conserving water At 3:30 we left the hotel and went home. It was a great day out. Thank you Mrs. Colleren for bringing us, we had a great day. Go Green, Go Clean, go Knockanean!!!!!!!!!!!!!!!!!!!!!!!!!!!!!!!!!!!! 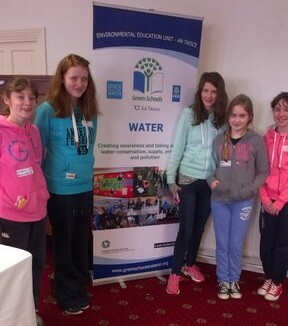 On the 3rd of March 2014, five members of the Green School Committee, Emma Ferguson, Alannah Moore, Kayleigh McNamara, Muireann Collins, Sally Brogan and Mrs. Colleran went to the West County to a Water Forum. Eight schools were there. At 9:50am all the schools registered and the presentation started. We had to design a perfect water school with many systems for saving water and an action plan. After that we had a break, followed by a game where you gathered ideas for helping save water in your school. At the end of the Forum (12:30) the instructors gave prizes to the 2 best schools. We came 2nd. They gave us reusable water bottles, badges, pencils & tattoos. Then we came back to the school. It was a great day and we have lots of new ideas to improve our water programme. Thank you Mrs. Colleran, it was a great experience. They have learned how to save water when washing up after ART by putting the plug in rather than letting the water run all the time. This saves hundreds of litres every week especially when you think of all the classes that do Art in our school. They have also learned to be on the look out for LEAKS which can waste an awful lot of precious water every single day. 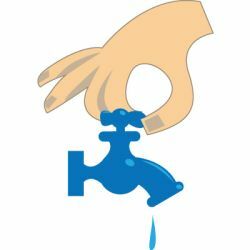 Leaks must be reported so that they can be fixed quickly by the Plumber. In the new school the PUSH taps are very good for saving water as they stop automatically as are the dual buttons in the toilets. Most of the old school has these taps fitted as well. The children also learn to bring these helpful hints home to their parents so that when we all start paying for water next year they will have ways of reducing the cost. We pay already for all water that we use at school so the less we use the more we save. Many of the pupils are completing the VALUE WATER poster competition at the moment and there are some wonderful posters on display in the various classrooms. Closing date is March 21st so make sure your entry is in. The Notice Board in the main school displays some great slogans and information on the WATER theme. If you have anything you wish to add please let Mrs Colleran know or if you have any good pictures or photos to do with WATER we can put them up on the website. On Tuesday, March 8th 2011, Mrs Colleran and two members of the GREEN SCHOOL COMMITTEE, Rosemarie Corry and Laura McNamara, went to The Galway Bay Hotel to receive the 2nd Green Flag for the school. It was awarded to Knockanean N.S. because we have been working on the theme of Energy. The committee has done great work in encouraging all classes to reduce their use of electricity by turning off lights, computers, overhead projectors and music centres when not in use. 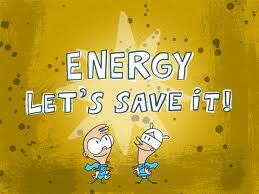 The classes have responded brilliantly and overall our energy bills have been reduced. It is so much better for the ENVIRONMENT when we make the effort to reduce our dependence on fossil fuels whenever we can. This is an International Award and is held in high esteem in many countries. The children will have received questionnaires checking on their energy consumption at home and we hope that parents will take a look at these and put the recommended practises into operation. Enda Kenny, our new Taoiseach, recalled recently that his young daughter insisted that he turn off the tap when he was shaving….He was duly chastised by the same young environmentalist! Friday February 5th, The Green Schools Committee organized an ELECTRIC VEHICLE to come to the school so the children could see the use that is made of alternative fuels as opposed to petrol and diesel! The vehicle was a big hit with all the children and 18 lucky pupils got to get a spin in it. They ranged from 2nd class to 6th class and as they drove noiselessly away, all others waved them off. As you can see from our photos a great morning was had by all. The Green Schools Committee took off once again on May 12th 2010 to check out the workings of a wind farm in a place called Deerybrien in our neighbouring county of Galway. The day was cold but dry and all the chat was about the turbines and whether or not we’d get to go inside one! We headed off towards Gort and then took a right turn in the town out to Derrybrien which is located high up in the Slieve Aughty mountains. The closer we got, the bigger the turbines seemed to be. There were lots of them dotting the landscape and we had a game to guess how many were actually on the site. The guesses went from 20 to 200 but the actual figure is 70. This is the biggest windfarm in the whole of the Republic of Ireland. Aoife O’Connor and Brian Kelly were very close to the correct answer! The long road into the site soon came to an end and we were met by Kieran and Sean who explained a few things to us about the day to day workings of the wind farm. Wind of course is the main component and if that does not blow then the potential of the turbine is naturally reduced. The amount this year is generally down because of all the cold but calm weather since Christmas. We learned that one turbine could power 50,000 homes if the wind blows for long periods of time. That is really good and will reduce our dependence on oil and other fossil fuels. We also learned that each turbine cost the staggering total of 1 million euro each, yes, one million each! They are very high tech and the maintenance on them is very costly too. When we got to go inside one of them we saw how compact they were and how dangerous they can be if the proper procedures are not followed every time! There are really long ladders inside which the men can climb up to see if there is a problem up there. Recently, one poor guy had a heart attack up there and unfortunately died there. The height of each one is 49 metres and the span of each blade is 26 metres. Pretty big, don’t you agree? We got to go in then to the main control room where all the data is collected and the men showed us the general working of the computers. The ESB hope to expand the number of windfarms in the country but the people need to realise that this change is really good for our country and for our environment! Change can be slow but with all the new technology coming on board we can all help to make this change possible. We had a great day out and thanks to Kay O Donnell and Mrs Colleran who accompanied us on the trip. We stopped in Coole Park on the way home and had great fun there, especially around the famous Autograph Tree. W. B . YEATS and Lady Gregory carved their names there many years ago.